Being video fanatic mostly some users annoying advertisements especially in YouTube, But not at all users getting mad of flash advertisements in featured in any video agencies. Sometimes some users also like the ads appearing on any platform videos just like YouTube, But we strongly recommend your patience to wait until Ad ready to skip. Here we have some few step on how to block ads on any video platform network to any web browsers in the internet, mobile web, and another search engine. How to block youtube ads on google chrome? Step 1 – Go to Creator Studio. To start, make sure you're logged into your Google/YouTube account and visit your YouTube page. Step 2 – Channel Settings. Step 3 – Advanced Settings. Step 4 – Turn off Advertisements. 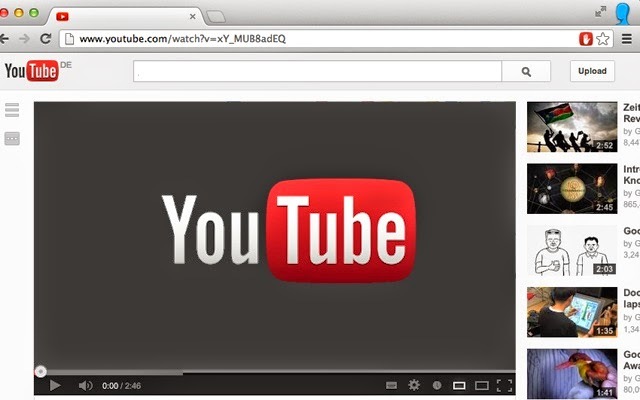 YouTube is the most popular video-sharing service and is one of the most visited websites in the World. The most annoying thing an average user can experience on YouTube is Ads. Both Banner Ads and Video Ads are displayed on YouTube and there isn't an easy way to disable or opt out of them. Immediately after you start streaming, an in-video Ad will be displayed and you need to wait for 5 Seconds to skip it. In some cases, the option to skip the advert is not available and all you have to do is wait till the Ad is finished. Also, those in-video Ads will be displayed in the middle of the Video you are streaming, which is quite annoying. As there is no option available to turn off these in-video adverts, we need to depend on some 3rd party apps. If you are using Google Chrome browser, then there is an extension that helps to automatically block all video Ads on YouTube. Lets see what it has to offer. Adblock for YouTube is a free Chore Extension developed and maintained by the popular open-source project Adblock. Install it by clicking on the “Add to Chrome” button and it will prompt a dialog box for confirmation. Proceed further by clicking on “Add” button. That's it, Adblock for YouTube is installed and you can configure it by going to the setting page. Two check boxes “Enable Video Ads” and “Enable Normal Ads” are available. You can enable normal ads as Google may recommend you products that you are interested in, based on your search history. Now go to YouTube and its time to test Adblock for YouTube extension by watching any video. You can notice that the in-video adverts are completely blocked. Also a message “Cleaned by Adblock for YouTube” will be displayed below the video. As of now Adblock for YouTube is available for Google Chrome only. Once it is available for Mozilla Firefox, we will update this article accordingly. Share your thoughts on using this free extension by posting a comment. You’ve followed all these simple steps but you still see ads on your videos and you want to know why. Great question – and this is a source of frustration and confusion for many people. Remember, YouTube makes money (and a lot of it) from advertisements. Previously, if your video contained copyright material Google would flag your video and turn it off. But Google quickly learned that this resulted in less profit. So they cut deals with huge copyright holders to allow its users to continue using these videos without penalty for infringement on YouTube. The only catch is – if your video is deemed to have any copyrighted material in it Google can automatically serve ads on your video – regardless of what your settings may be. What makes it even more confusing is that your account will not register as being in non-compliance – so it’s hard to track down the video that might be causing the issue. Congratulations, you’ve now eliminated ads from YouTube videos on your channel! Remember – this only works on your own videos. To get others to turn off ads on their videos you need to get them to follow these same steps. Share this post and video tutorial with anyone whom you’d like to turn off ads on their own videos. The more people we send this to the fewer ads we’ll see on YouTube!